Inspiration often comes from within. Such is the case with Steelite’s Craft melamine dinnerware. 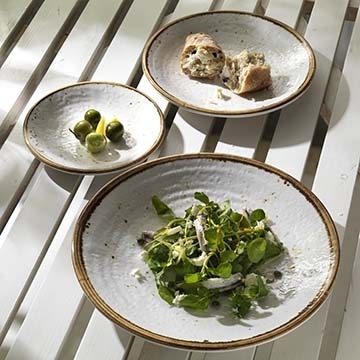 Building on one of the most beloved china patterns in the foodservice industry, Steelite has designed a melamine companion that is at home on any tabletop or buffet. Craft’s line is complete with plates, bowls and serving pieces, and its neutral color provides everything your chef needs to create a memorable dining experience. In addition, its melamine construction means long lasting durability and minimal replacement costs. Enhance your craft with Craft!